This week my featured posts are for the movers out there! Things that GO! 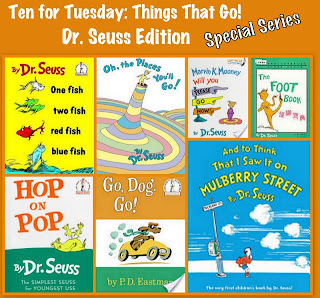 The Good Long Road shares a great round up of ideas to go along with Dr. Suess books that GO! 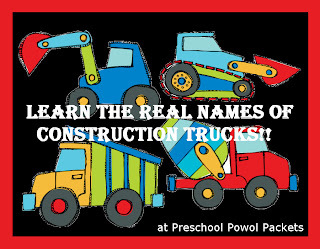 Preschool Powol Packets explains construction equipment along with real life pictures and a cute printable poster. If you are like me you never seem to know the right name when your kids ask, so this is a big help! 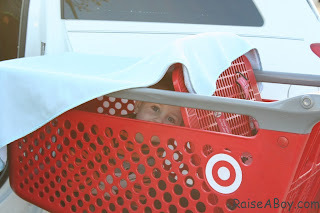 Raise a Boy found a great solution for kids who don't want to shop, a cart fort! Seriously it is brilliant! If I have ever featured you please feel free to grab my new featured button! For more great features visit my fellow Librarians (Please follow them too! ): True Aim Education, Hey Mommy, Chocolate Milk, and Chicken Babies. Be sure to stop by True Aim Education to enter the Spring into Cash Giveaway!